The comedian says he was being harassed. OAK BLUFFS, Mass. 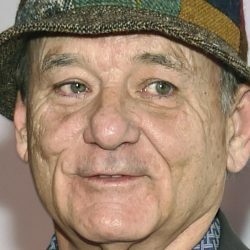 — A photographer says actor Bill Murray slammed him against a door and poured a glass of water over him while he was taking photos of a band at a Massachusetts restaurant. Peter Simon told The Boston Globe he was on an assignment for The Martha’s Vineyard Times at Lola’s in Oak Bluffs on Wednesday when Murray accosted him, swore at him and threatened him. Simon, who is singer Carly Simon’s brother, said the band invited him and he was not there to take pictures of Murray. A police report says Murray told police Simon was taking pictures of him.